Some 370,000 Rohingya Muslims have fled Rakhine state in Myanmar for Bangladesh since the outbreak of violence last month, with whole villages being burned down and the government accused by the UN of ethnic cleansing. Htin Lin, Myanmar permanent representative to United Nations, totally objected to the remark of ZeidRa’ad Al Hussein, Office of the High Commissioner for Human Rights of United Nations on ‘Crimes Against Humanity’ and ‘Ethnic Cleansing’, reported the Ministry of Foreign Affairs on September 13. Concerns that the ongoing violence in Rakhine State could result in capital outflows and economic sanctions are rising in the investor and business community. This is with reference to the statement of the United Nations High Commissioner for Human Rights that “India cannot carry out collective expulsions, or return people to a place where they risk torture or other serious violations”. 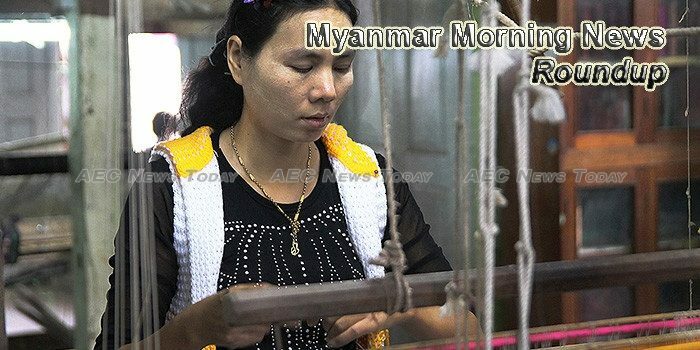 The unique selling point of Myanmar is that it connects ASEAN, China and South Asia, businesses at the Hong Kong Belt and Road Summit told The Myanmar Times. Yangon-Listed firm Myanmar Thilawa SEZ Holding Ltd (MTSH) may invest in Kyaukphyu SEZ, according to MTSH chair U Win Aung. First Private Bank (FPB) appears to be mulling a delisting from the Yangon Stock Exchange (YSX) at a time when many more companies are needed on the bourse to boost trading and develop more robust capital markets. The Myanmar Economic Bank will not only provide loans for startups but also give them land if necessary, according to Minster for Planning and Finance Kyaw Win. Farmers in a village in Dagon Seikkan township in Yangon decried the government’s decision to convert their 183 acres of farmlands into a housing project for retiring government workers. Following the technical signals for Myanmar Investments Inte (MIL.L), we have recorded the Percentage Price Oscillator Histogram line below zero. Traders may be using a PPOH reading below zero as a sell indicator. The United Nations appealed on Thursday for massive help for nearly 400,000 Muslims from Myanmar who have fled to Bangladesh, with concern growing that the number could keep rising, unless Myanmar ends what critics denounce as “ethnic cleansing”.